1660 Year community was first settled, illustrated by a peace pipe. 1904 Year Rye became a Village, showing a torch of progress. 1942 Year Rye became a City. Added to the crest in acknowledgement of Rye Rugby Club’s first Rye based practice field at Playland, between the park and Edith Read Sanctuary. The team walked passed the Dragon Coaster on the way to and from every practice there. The Dragon Coaster, Playland Park's iconic attraction, in Rye, New York, is a wooden roller coaster that was opened in 1929. It was designed and built by legendary amusement ride creator Frederick Church who also was the co-inventor of the Racing Derby, another famous early 20th century amusement park ride. The Dragon Coaster has approximately 3,400 feet of track and is, at its highest, approximately 80 feet tall. It has a tunnel along its span, a common feature of wooden roller coasters from the 1920s, that resembles the body of a Dragon and the opening of the tunnel resembling the mouth of a Dragon. It has also been featured in the film Fatal Attraction, Mariah Carey's music video Fantasy, and Big, starring Tom Hanks. The Dragon Coaster is still in operation to this day. The ride is named after Coaster, the park's mascot. The wheat sheaf of the town's seal represents the early agricultural and trading focus of the settlement that would eventually become the Town of Rye. We included this image to highlight the club's desire to be inclusive of all potential rugby players in the wider geographic area of Rye Town. A rugby ball, originally called a quanco, is a diamond shape ball used for easier passing. Richard Lindon and Bernardo Solano started making balls for Rugby school out of hand stitched, four-panel, leather casings and pigs’ bladders. The rugby ball's distinctive shape is supposedly due to the pig’s bladder, although early balls were more plumb-shape than oval. The balls varied in size in the beginning depending upon how large the pig’s bladder was. Until 1870, rugby was played with a near spherical ball with an inner-tube made of a pig's bladder. 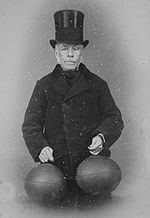 In 1870 Richard Lindon introduced rubber inner-tubes and because of the pliability of rubber the shape gradually changed from a sphere to an egg. In 1892 the RFU endorsed ovalness as the compulsory shape. The gradual flattening of the ball continued over the years. The introduction of synthetic footballs over the traditional leather balls, in both rugby codes, was originally governed by weather conditions. If the playing surface was wet, the synthetic ball was used, as it didn't absorb water and become heavy. Eventually, the leather balls were phased out completely.